Sadiq Khan looks likely to be handed a last-minute speech at Labour conference next week following the intervention of a key internal committee. The London mayor now seems certain to be given a slot on the podium despite an initial plan to restrict the keynote speeches to core allies of Jeremy Corbyn, such as John McDonnell and Diane Abbott. 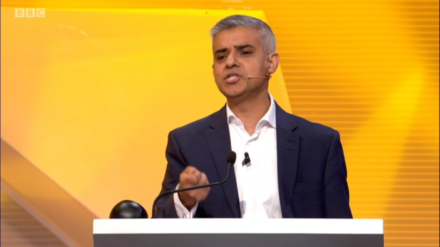 Khan is out of favour with Corbyn’s team following a speech last year in which he made 38 references to winning “power”, in what was widely seen as a criticism of the Labour leadership, who were then trailing significantly in the polls. Yesterday, however, Labour’s conference arrangements committee decided Khan should be handed a slot in Brighton, apparently overturning an earlier decision by the national executive, on which Corbyn has a slim majority. Officials could hand a speech to a female leader from local government to try to improve the gender balance although Andy Burnham, the Manchester metro mayor, is expected to miss out. It is thought that Khan’s speaking slot will be confirmed when the conference schedule is finalised on Sunday morning. Andy Slaughter, MP for Hammersmith, said the mayor should be able to speak given his historic success in the capital’s election last year. “Sadiq should obviously be speaking as the most senior Labour person in government in England. And as the person in the most successful region electorally with the biggest personal mandate,” he told the London Evening Standard.